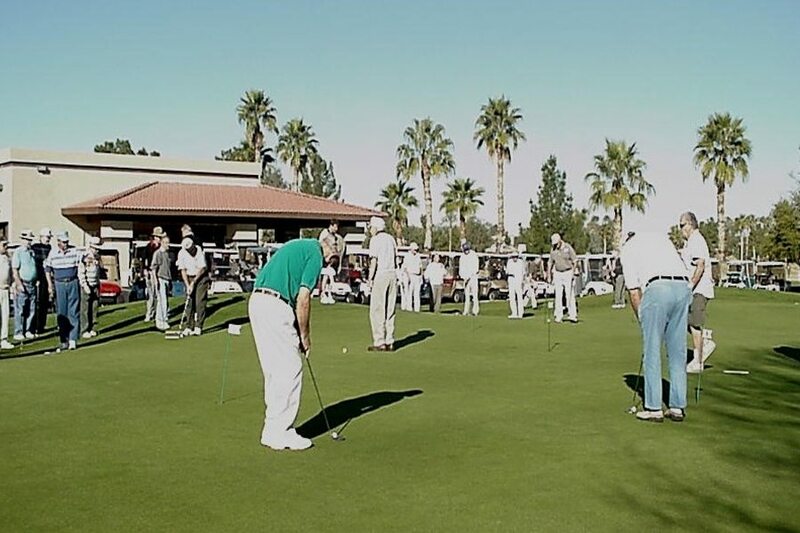 The Sun City West Men’s Putting Club conducts weekly putting competitions on the large practice green at the Grandview Golf Course, adjacent to the Golf Shop and the Crooked Putter Restaurant. We lay out a unique 18-hole course prior to each event, using the hole locations which have been set by the greenskeepers. We make the course as difficult and demanding as we can, within the bounds of our course layout specifications.